Dr. Katherine Ryan, a chemist at the University of British Columbia, was awarded a Sloan Fellowship in Chemistry for her research into how living organisms synthesize complex molecules. Dr. Ryan, who works in the field of chemical biology, investigates how complex organic molecules, such as antibiotics, are assembled by bacteria. Such naturally produced molecules are among the most chemically complex and medicinally relevant molecules ever isolated. The goal of her research group is to employ genomics, biochemistry, organic chemistry, and structural biology to understand the assembly of these molecules. After completing her bachelor of science in biological chemistry at the University of Chicago, she earned her PhD at the Massachusetts Institute of Technology. She then carried out postdoctoral research at the Scripps Institution of Oceanography, before joining the Department of Chemistry at the University of British Columbia as an Assistant Professor in 2011. 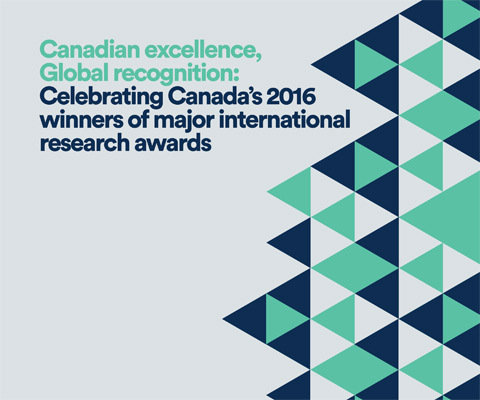 *Katherine Ryan is one of 12 Canadian winners of major international research awards in 2016 featured in the publication Canadian excellence, Global recognition: Celebrating recent Canadian winners of major international research awards.